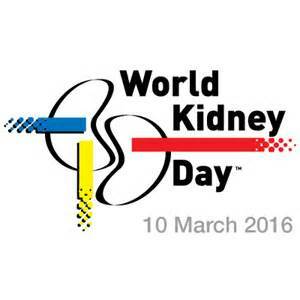 Today is World Kidney Day, so I shall let you in on a little secret. There is a new tool for predicting if a transplant is going to be problematic to get working properly. Nephrologist call a transplant a “graft” and when the new kidney is not really filtering as well as hoped after a week they call it “Delayed Graft Function.” Rather than waiting a week, the nephrologist would like to know in the first few hours after the transplant if the new kidney is going to be one of these “problematic” transplants or not. A lot of money has been spent on developing some fancy new biomarkers (urinary) and they may well have their place. At this stage none are terribly good at predicting delayed graft function. A while ago I helped develop a new tool – simply the ratio of a measurement of the rate at which a particular substance is being peed out of the body to an estimate how much the body is is producing in the first place. If the ratio is 1 then the kidney is in a steady state. If not, then either the kidneys are not performing well (ie not keeping up with the production), or they have improved enough after a problem and are getting rid of the “excess” of the substance from the body. This ratio is simple and easy to calculate and doesn’t require extra expense or specialist equipment. A few months ago, I persuaded a colleague in Australia to check if this ratio could be used soon after transplant to predict delayed graft function. As it turns out in the small study we ran that it can, and that it adds value to a risk prediction model based on the normal stuff nephrologists measure! I’m quite chuffed about this. Sometimes, the simple works. Maybe something will become of it and ultimately some transplants will work better and others will not fail. Anyway, it’s nice to bring a measure of hope on World Kidney Day. This was published a couple of weeks ago in the journal Nephron.